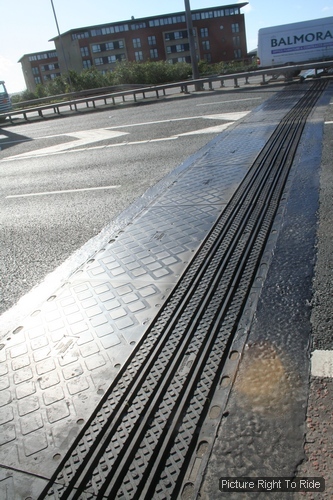 In October 2010 at Right To Ride we informed the Roads Service about the concerns of riders who found that the bridge joints on the M3 Lagan Bridge in Belfast caused their motorcycles to lose grip when these joints are negotiated, especially in wet weather. 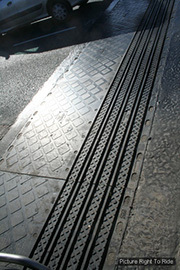 The latest correspondence from the Roads Service again assures us that they, the DBFO Company* (Design, Build, Finance and Operate), the designers and joint manufactures are taking the issue for motorcyclists regarding the bridge joints very seriously and that they are actively pursuing the issue until its conclusion. We have been informed that there has been numerous discussions with the DBFO Company, testing has been undertaken and Roads Service have been in discussion regarding the results. At present action currently lies the DBFO Company to review the test results and then to liaise with the joint manufacturer to conclude if they plan to carry out any remedial works. There is an independent consultant monitoring the joints who is being kept informed of progress and has been made aware of the motorcycle issue throughout this testing period. A 12 month monitoring period ends in August 2011 and Roads Service are hoping a conclusion to the issue will be resolved by then. The issue is not about the speed when crossing the joints, there is a 50mph speed limit on this section of the M3 Lagan Bridge, it’s about grip and perhaps this type of joint has no requirement for in-service skid/slip resistance or Polished Skid Resistance Value in road safety standards. 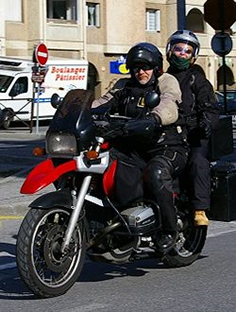 Perhaps there are standards which take into account skid and slip resistance but do not take into account that a motorcycle as a “single track” vehicle, performs in a vastly different manner than a vehicle with four wheels or more. There have been no interim measures from the Roads Service to publicly highlight the issue to motorcyclists who use the road. By interim measures we would suggest that this could be signs that warn motorcycles about the joints. We still believe that these joints pose a considerable danger to motorcyclists. In spite of “official” recognition that there is an issue, remedial work to – or replacement of – the joints is going to cost a shed load of money! So our opinion is that Roads Service may be doing its best, but there are issues of risk and/or danger that are being weighed up against procedure and cost. 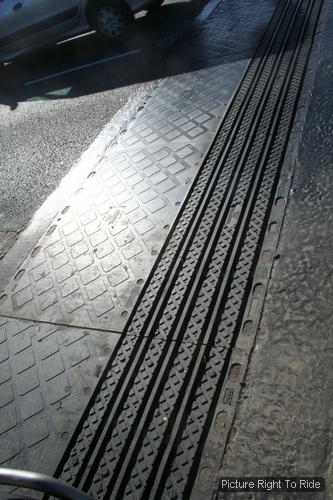 *The DBFO Company are Highway Management (City) Ltd. Who as part of their responsibilities are required to undertake work to, ensure the M3 Lagan Bridge (and the road it supports) is kept in good condition, in accordance with the required operation and maintenance standards and that it is safe for public use. Meanwhile the Department for Regional Development (DRD) – Roads Services has developed preliminary proposals to improve the junction at York Street – Belfast that would provide direct links between Westlink and the M2 and M3 motorways. This would include flyovers and we assume will include “bridge joints”.